The Pipeline Innovations Pathfinder® foam caliper tool demonstrates its ability to provide a full internal geometry survey of a 44km subsea pipeline known to have serious buckle damage and in which hard bodied pigs had previously been stuck. 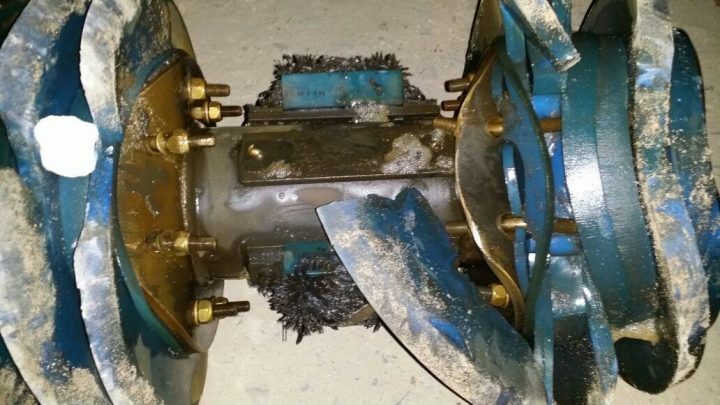 Accurately locating and characterising one remaining large dent in the line allows the pipeline operator to cut out and replace the damaged section and complete the commissioning of the line using standard cleaning and gauging pigs. In the spring of 2015, problems were encountered in the commissioning of a 16” x 44km subsea pipeline in the South China Sea. The pipeline was newly constructed and was undergoing pre-commissioning with a train of 5 pigs when the pigs became stuck in the line. Using water pumping, the first 3 pigs were pushed out of the line but all three pigs were severely damaged. The final 2 pigs remained stuck in the line and resisted all attempts to push them out. To recover the pigs and unblock the pipeline, it was therefore necessary to locate the section of pipe containing the pigs and cut it out. The location of the stuck pigs was determined by searching for the signals emitted by the transmitters on the pigs. Once located, the pipe was excavated and it was observed that the pipe had a large buckle at this location which had been the cause of the stuck pigs. The dent had probably been caused by impact and dragging from a ship’s anchor. operator and the constructor were reluctant to introduce hard bodied pigs into the line until the line was shown to be clear. EUREKA EFEKTIF SDN. BHD, who were working on the problem with the pipeline constructor, were aware of the Pathfinder® tool from previous communication with PIL and they suggested this as a possible method for checking the line for damage. PIL were contacted and having agreed that this was a suitable project for the Pathfinder, an order was placed and production of two pigs commenced. The pig was a standard specification 16” Pathfinder® design with a bare foam body and a PU coated nose and rear. The body OD was 386mm to match the maximum ID in the line and the length of the pig was 730mm. The 16” Pathfinder® pig is configured with caliper sensors for measuring deformation of the pipe wall at 8 locations around the circumference of the pig from which 4 diameter measurements can be calculated. The tool collects caliper data at a rate of 200 samples per second allowing a detailed plot of 4 pipe diameters to be produced with an axial resolution of 5mm at a pig speed of 1m/s. In addition the tool has accelerometers and gyro sensors which provide additional information on the location and orientation of features in the pipe. Speed was of the essence. Within 10 days of receiving instructions to proceed, the pigs were assembled, commissioned and calibrated ready for mobilisation. In order to minimise the shipping and customs clearance times, the pigs and equipment were hand carried to site by the PIL caliper technician. The Pathfinder® was loaded and launched from an offshore platform at 6pm on 11th July. The pig was pumped through the line using water at a speed of 0.5m/s, arriving at the receiver at 2:30pm on 12th July. The pig was removed from the receiver and within 1 hour the caliper technician had downloaded data from the tool and had started his first pass data analysis. 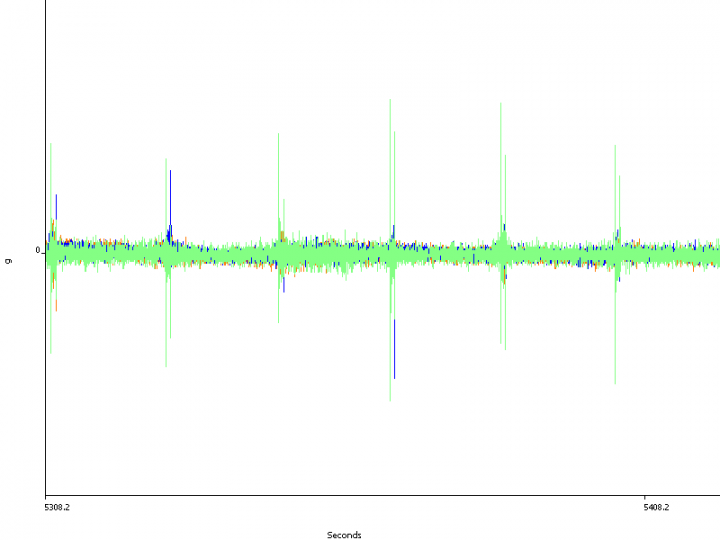 Immediately, the technician identified a large feature in the data approximately 14 hours into the run. The datafile from the run was then uploaded to the PIL base in the UK where the specialist data analyst was able to confirm that the feature was a dent with a depth of approximately 11% of pipe OD. The client was informed and the preliminary report was issued by the field technician the following day. Data analysis revealed a large dent type feature with a dent depth of 27mm and a total bore restriction of 33mm. The orientation of the dent was at the 9 o’clock position. 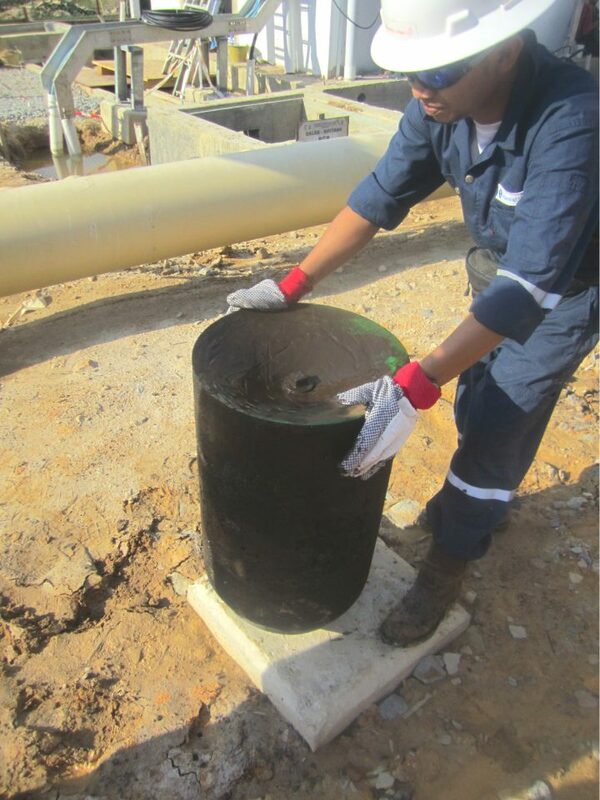 As the Pathfinder® tool does not have odometer distance measurement wheels then assessment of the location of defects must be carried out using a combination of time reference, pumping speeds and if possible a girth weld count. Girth weld responses were clearly visible in the data for this run. By matching the girth weld count from the caliper data with the pipe tally in the as-laid pipe book, it was possible to identify the exact location of the dent by pipe spool number and geographical GPS coordinate information which had been recorded during pipe laying. A dive support vessel was mobilised to the GPS location above the pipeline and divers deployed. 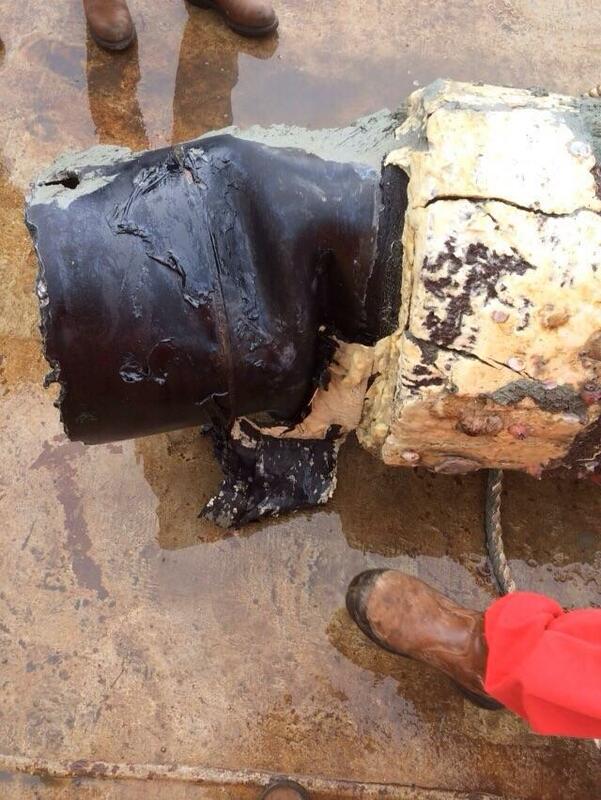 When the pipeline was uncovered, a dent was identified with a depth and clock position as predicted by the Pathfinder®. Once the damaged section was cut out and replaced, the pipeline operator was able to proceed with cleaning, drying and commissioning of the line using standard hard bodied pigs.